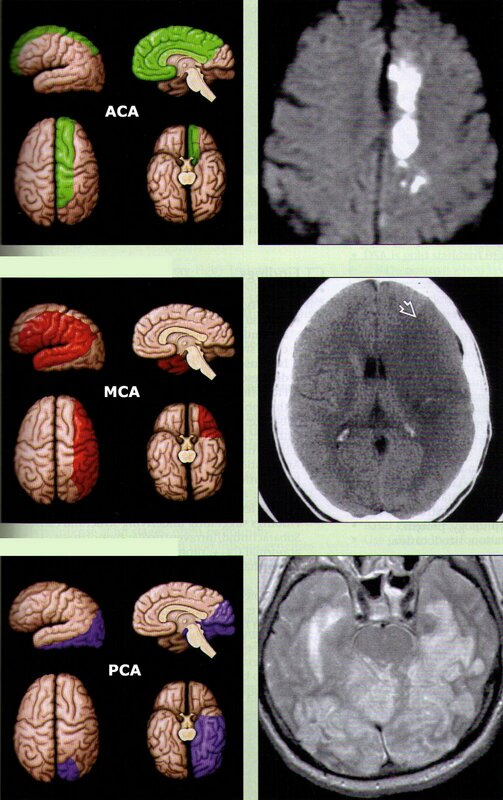 ANTERIOR: Signs and symptoms include visual, aphasia, and sensorimotor deficits. Involves carotid artery, ACA, MCA, and ophthalmic branch (amaurosis fugax). Medial lenticulostriate: internal capsule, putamen, globus pallidus, caudate head, hypothalamus, optic chiasm = speech, facial weakness, mood and judgement. 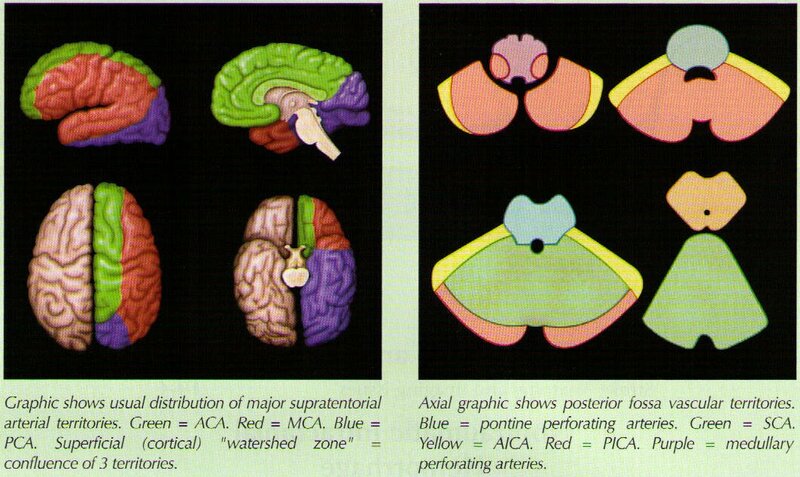 POSTERIOR: Signs and symptoms include syncope, ataxia, CN findings, homonymous visual field defects, contralateral facial symptoms . Involves vertebral, basilar, PCA, and cerebellar arteries.